Chris Underwood's Blog: The Sentry: tackling conflict? The Enough Project has produced a very slick, if spoiled by a blockbuster-style soundtrack, video to publicise its latest offering in a string of innovative approaches to tackling conflict in Africa. And in developing The Sentry the good folks at Enough have pioneered some steps by the conflict transformation community into the world of open data. Good for them.The problem is they seem to have fallen into the trap of so many tech initiatives that have gone before: the tech gets placed ahead of the conflict with hugely inflated claims of the impact the data will have - and is apparently being led exclusively by well intentioned Americans, while as others have pointed out for a project about Africa there is not an African leader in sight in this video, only the victims. 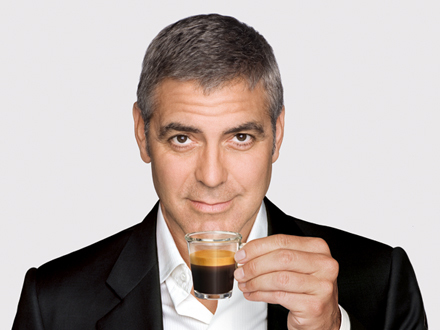 Plus George Clooney. Clooney and the Enough Project make a number of grand claims of what an approach to following the financial flows associated with some of the most protracted conflicts in the world might mean, both in terms of holding international corporates accountable and even more in terms of changing their behaviour. The project builds on the work supported by donors including the Open Societies Foundation and African innovators in the use of open source data, such as Justin Arenstein, to create a cadre of analysts and reporters who can then use that information to expose illicit flows, sanctions evasion, smuggling of natural resources and so on. But you don't see any reference to those African innovators already doing this work, which is a shame because Africa is not short of these people. In response to this criticism Sacha Lezhnev of the Enough Project said that they were working with "a number" of these civil society and media actors who preferred to remain anonymous for safety reasons. To achieve the sort of change this project calls for it will need to take place globally and locally in the countries affected by conflict themselves. My main questions on this project are twofold and relate to both of those levels of change. Which companies are we talking about, here? Africa is the world's fastest growing region for FDI, with a 5% increase in 2014. A third of that was for extraction, principally oil and gas. And the majority of that investment came from China, with USD198.5 billion and rising in 2012. US FDI by comparison was USD 108.9 billion and falling in the same year. My point here is that Follow the Money style projects are likely to have very different impacts on a publicly listed company in New York or London, by comparison to an essentially State run enterprise in Beijing. But this is lost in the razmatazz of the project's publicity which does not refer once to China. This is not to argue that these projects have no purpose - they really do, as the work of OpenCorporates and others have already shown, but it may be wise to temper expectations, and plan for the long term rather than promising short term transformative change which is simply unrealistic. To achieve change locally requires local people. So how is the introduction of data in this way different to the work that has already been produced by organisations like Code for Africa and others in the development of data journalism? Because these people have not only experience but valuable learning which it would be wise to reflect on, in the extent to which data can be used by citizens to hold power to account. "Open Data & Open Government Are Revolutionary. They promise to change the power dynamics that govern our societies, giving ordinary citizens more and deeper information in real time, along with digital tools for engaging with fellow citizens and with those in positions of power. So, why are so few citizens using either the data or the tools -- despite generous funding and massive institutional support? 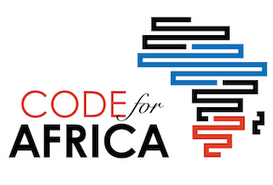 The problem, Code for Africa believes, is an issue of supply versus demand. Much of the focus by the civic technology movement to date has been on governments and activists pushing data and services at citizens, rather than listening to what citizens really want or need". They go on to suggest how this could be redefined, taking a bottom up approach and listening to the citizens themselves. You have to wonder how much of this learning is reflected in the Enough Projects new venture into this arena. Judging by the video and the website not much. So it would be interesting to know more about how they plan to build on and learn from the experiences of the real innovators in this field who have been pioneering this work quietly, often at great risk to themselves for several years already. If we could see real partnerships being forged between international organisations and those innovators operating at the heart of the conflicts, building on the learning that this cutting edge work has already generated; and combining it with the knowledge of those citizen groups already involved in peacebuilding and conflict transformation on the ground who are usually absent from these projects, we might start to realise some of the tantalising potential that this sort of work holds out for genuinely altering conflict in Africa. In the forthcoming SDG era where data is set to be king, there's a genuine opportunity to think creatively about how we harness the power of that data at the levels we will need to effect change. But I think projects like this, who deserve real credit for even trying, will need to be a little more humble, a lot more integrated and involve much wider collaboration to do that.